No matter how precise you are when setting up tests, occasionally errors occur resulting in unexpected outcomes. This is especially true for microbiology assays, which due to the nature of microorganisms, are subject to more variation than chemical assays. For this reason, a nonconforming microbiology result is often called a microbial data deviation (MDD). When a laboratory result does not meet specifications, an investigation is necessary to determine if the nonconforming result is valid or is due to laboratory error. 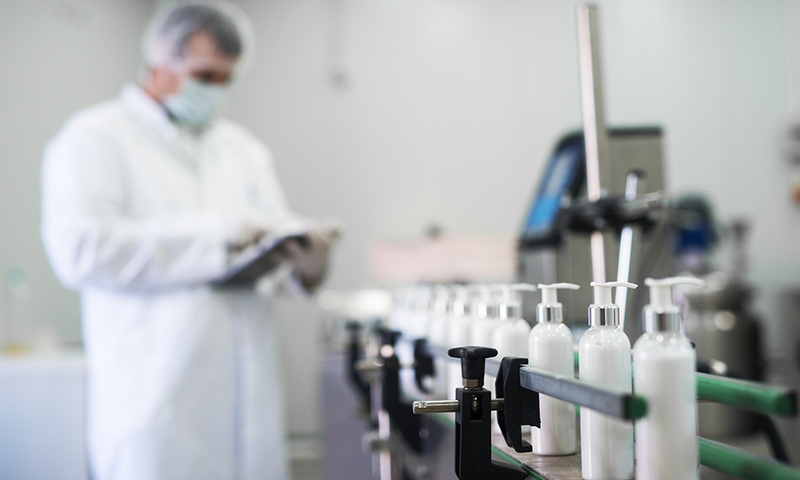 With the aim of helping laboratories make this determination, the Personal Care Products Council (PCPC) recently added a new chapter to the PCPC Microbiology Guidelines. The chapter, Investigating Microbial Data Deviations, provides a road map for an MDD investigation. It lists over 100 questions for the laboratory and the quality control team to ask during an investigation. The PCPC guideline is divided into three parts: The Laboratory Investigation, The Manufacturing Investigation, and The Conclusion of the Investigation. A brief summary of the guideline and a few of the multitude of questions in it are listed below. Asking questions. Was the test method followed correctly? Were the reagents used within their expiration dates? Examining the laboratory and microbiological data. For example, check the calculations. Reviewing the control systems. For instance, check the quality control results for the media and reagents used in the test. Reviewing the sampling process. A few points to consider are: How long were the samples held? Was proper hygienic technique used to collect the samples? Under certain conditions, a retest may be performed. Conditions include 1) scientifically confirming a laboratory error, 2) having a written and preapproved retesting plan in place, and 3) assigning the retest to a different analyst. It is important to avoid testing into compliance. If indisputable evidence reveals the MDD was due to laboratory error, the initial test result is considered invalid, a retest can be performed, and the case can be concluded (see, Conclusion, below). If, however, the laboratory confirms the validity of the result, the investigation moves to the manufacturing site to look for the root cause of the out-of-specification result. Production Personnel. What personal protection equipment do they wear? Gloves? Booties? Lab coats? Hairnets? Raw Ingredients and Components. How stable is the environment where the raw materials are stored? Does the temperature and humidity fluctuate? Processing and Filling Equipment. Is the equipment properly maintained? How well does it drain? Processed Water Systems. Is there a program in place for testing the microbial quality of the process water? Have there been any recent repairs to the system? The Manufacturing Facility. Is there pooled water at the site? Have there been any recent equipment failures? The Cleaning and Sanitization of Manufacturing and Filling Equipment. Was cleaning and sanitation done according to instructions? To complete the investigation, it is important to record and report all results, determine the root cause of the out-of-specification result, take corrective or preventative action, and periodically review the action to see if it is effective. Investigating Microbial Data Deviations is the latest chapter of PCPC 2018 Microbiology Guidelines. The guidelines are intended to provide manufacturers with guidance regarding best practices as well as establishing and maintaining a microbiological quality program. The downloadable guidelines are available in the Bookstore at www.personalcarecouncil.org. Thank you Laurie, very informative!! Laboratory investigation steps, and manufacturing investigation steps, a very thorough critical approach that highlights the kind of competences that the microbiologist brings to the company.